Have you ever spent the night at Splashway? Wet Your Pants day after day? That much fun isn’t for everyone. Sometimes a day is all you can handle, we get it! 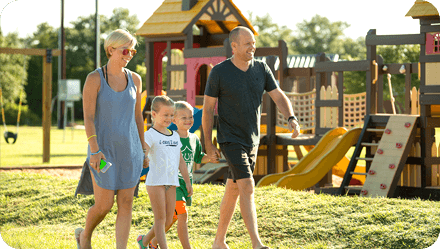 At Splashway Waterpark & Campground, we can certainly accommodate your family’s perfect daycation or staycation. We just want to make sure that, this summer, you’re making the most of your family’s time together! 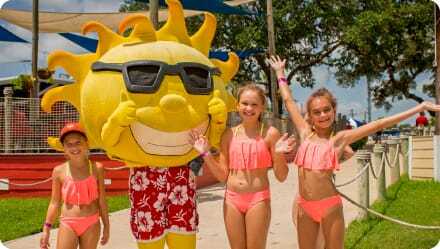 Here are the two types of trips you can take to Splashway during waterpark season, and what to expect from each. 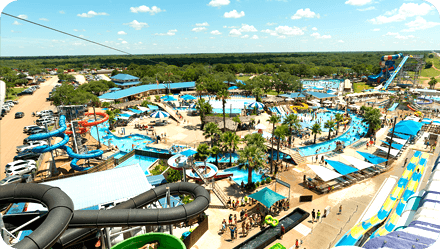 Being in the middle of everywhere, Splashway is just a short drive away from Houston, Austin, and San Antonio! 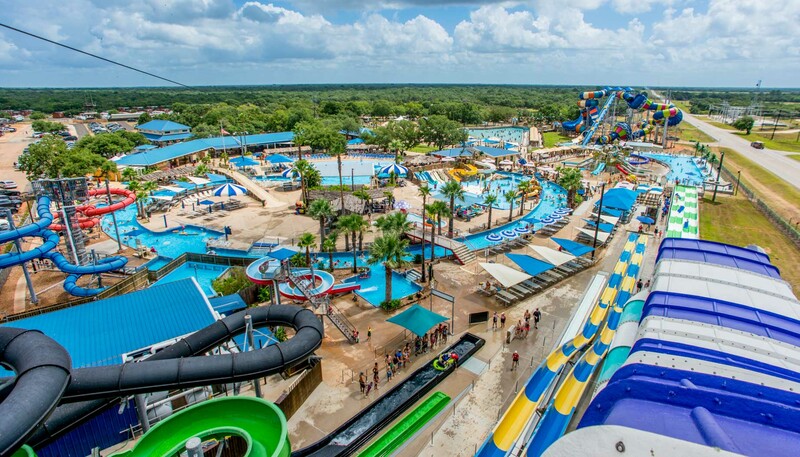 When you’re looking for a fun day in the sun, the cleanest waterpark in Texas is here to give your family the perfect day out! Wet Your Pants! 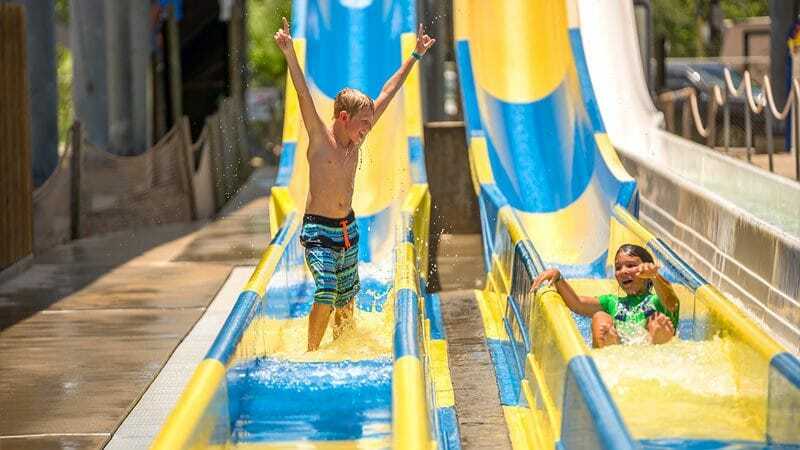 At Splashway Waterpark, enjoy all of our adult and kid-friendly attractions, like Ray’s Riptide for thrill seekers or Kids of the Carribean for little ones! Lounge in a cabana! Kick back in some shade, or book a cabana with sunbathing chairs and soak up the sun while your little ones make a splash. Indulge in some sweet treats! Grab some Dippin’ Dots or a freshly made funnel cake. Take a day off from cooking! If you didn’t have time to pack a cooler, or just want to take a break from the kitchen, try one of our in-park eateries! Play a round of putt-putt or laser tag! 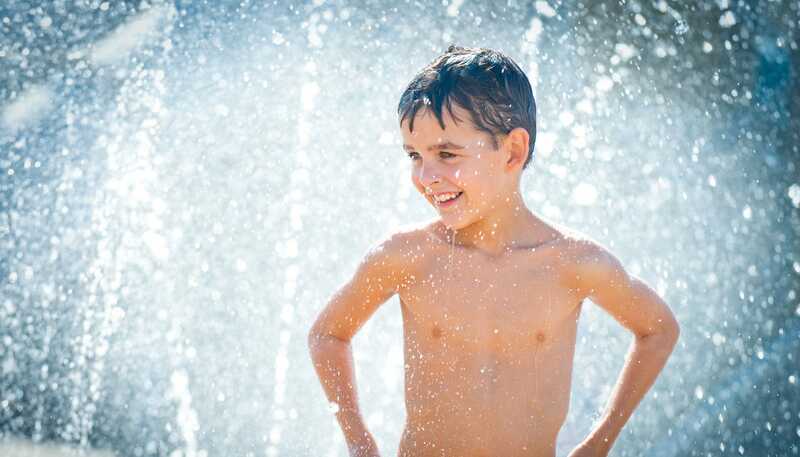 When the waterpark winds down, pop over to Splashway Campground for a playful round of either, or both. Grab dinner at The Hideaway! Opening this summer, The Hideaway is a full-service restaurant where you can enjoy southern favorites on the patio before you hit the road. The downside to a daycation? You have to go home! We all know that for kids, no amount of fun is ever enough. Sometimes, one day isn’t enough quality time with your family! You deserve a break together, time to get out of the house and make lasting memories. That’s why Splashway Campground is here! You can do everything you would on a day trip, but when you stay for a few nights you can do so much more! 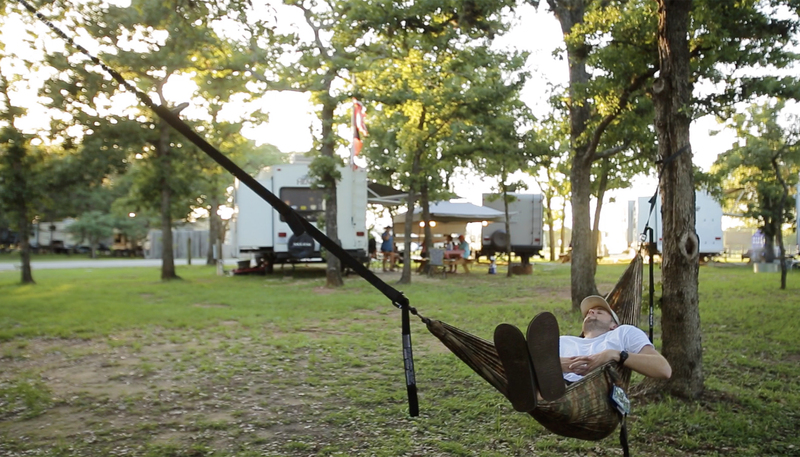 Enjoy campground attractions! Outside of putt-putt and laser tag, our campground offers tons of other attractions, like kayaking, pedal carts, paddle boats, fishing, outdoor sports and games, and so much more. 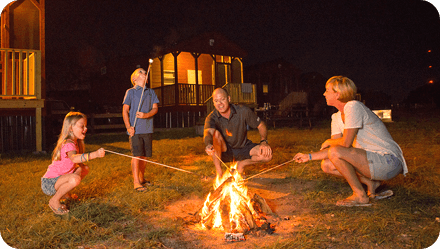 Take part in our campground activities! 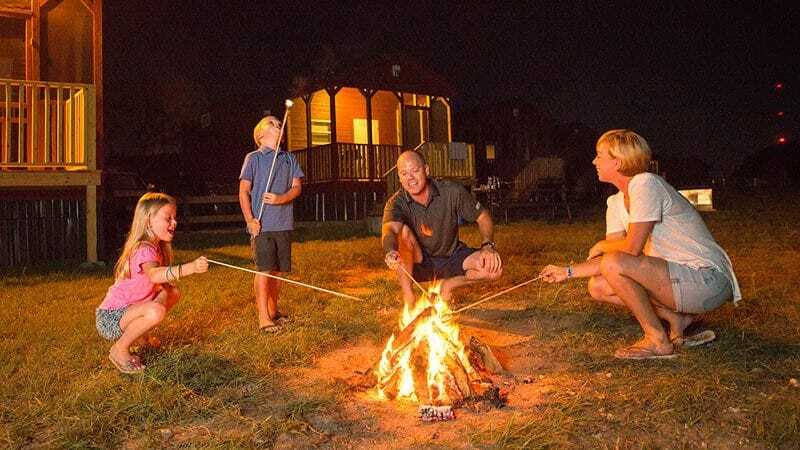 We offer exclusive activities to our campground guests that are all included with their stay. Join us for live music, movie nights under the stars, s’more nights, arts & crafts, and more. 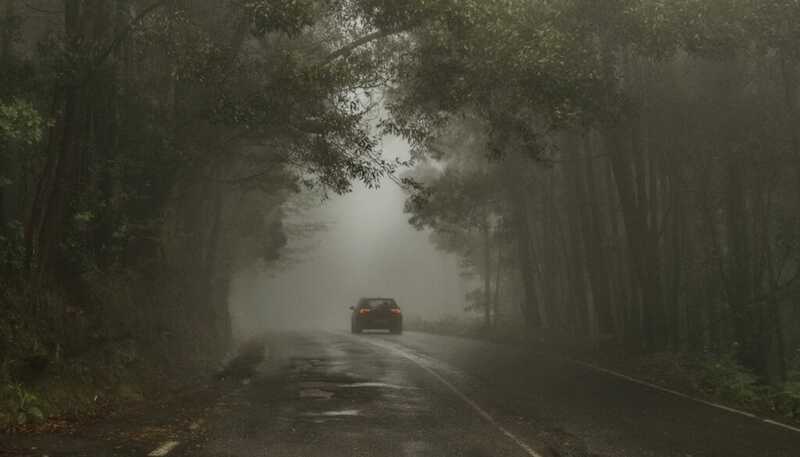 Ride your favorite rides all over again! Wake up each morning and get ready for another fun-filled day in the sun. Bring your furry friends! Bring your dog with you and let them roam around for some new sniffs. After all, they’re part of the family too! Of course, there’s always a downside! While a staycation is great, we know that your kids will have too much fun! It’s unavoidable. They’ll be begging to come back for a trip to Splashway. So, only come for a staycation if you’re prepared to bring them back!